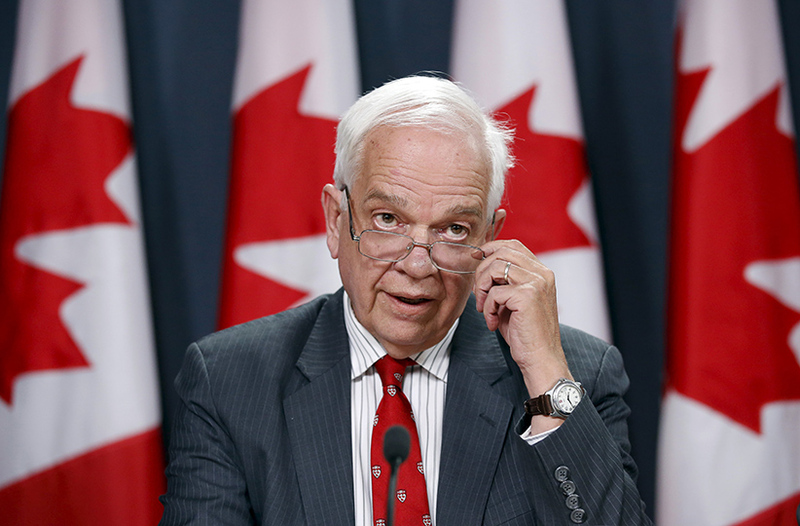 (TibetanReview.net, Jan28’19) – Ambassador John McCallum of Canada has resigned from his Beijing post on Jan 25 on being asked to do so by Prime Minister Justin Trudeau following his strong remarks in support of China’s position opposing the detention and possible extradition of tech giant Huawei’s executive Meng Wanzhou. Canada detained Meng on Dec 1, 2018 on request from the USA under the extradition treaty between the two countries. Huawei is accused of violating US sanctions against Iran and employing financial fraud for this purpose. Meng is Huawei’s Chief Financial Officer as well as the daughter of the tech giant’s founder. Mr Trudeau said he had asked for and accepted John McCallum’s resignation on Jan 25 night, reported AP Jan 27. This was despite the fact that McCallum later issued a statement saying he misspoke about the case earlier in the week and regretted saying Ms Wanzhou had a strong case against extradition. China’s official globaltimes.cn Jan 27 called the firing a political interference in the case. He faced severe backlash from some Canadian media and politicians while the opposition party demanded his resignation. The leader of the opposition Conservative Party, Andrew Scheer, said Mr McCallum should have been fired days ago because his remarks raised concerns about the politicisation of Ms Meng’s case. China, on other hand, criticized Mr McCallum’s backpedalling on his apparent giving of legal advice to Meng. The pressure compelled McCallum to rescind his earlier comments, saying he regretted they created confusion and adding that there has been no political involvement in the extradition process. This was criticized by China’s official media, with globaltimes.cn saying in an editorial Jan 25 that McCallum’s initial statement was based on analysis of legal and factual proceedings, but due to “political incorrectness,” Canada’s political and opinion circles launched a withering attack on him. The arrest of Meng at Vancouver’s airport severely damaged relations between China and Canada. Within days, China detained two Canadians, including a diplomat on leave, and retried and sentenced to death in a single day a Canadian who was already under a 15-year jail sentence for alleged involvement in drug smuggling. “This is another case of what is becoming known as ‘hostage diplomacy’ by the Chinese party-state,” wrote Rory Medcalf, head of the National Security College at the Australian National University, in an article in the Australian Financial Review. Trudeau had earlier dismissed calls to fire Mr McCallum while both he and his Foreign Minister, Chrystia Freeland, had also stressed that Canada’s Government could not interfere politically in the case. Mr McCallum has strong personal ties to China. His wife is of Chinese ethnicity and his three sons have Chinese spouses. Guy Saint-Jacques, a former Canadian ambassador to China, has said that with Mr McCallum’s firing, China would now know that he was not speaking for the Canadian Government. This was because Mr McCallum’s initial remarks had fuelled speculation that Canada might be trying to send a signal to China to reduce tensions.